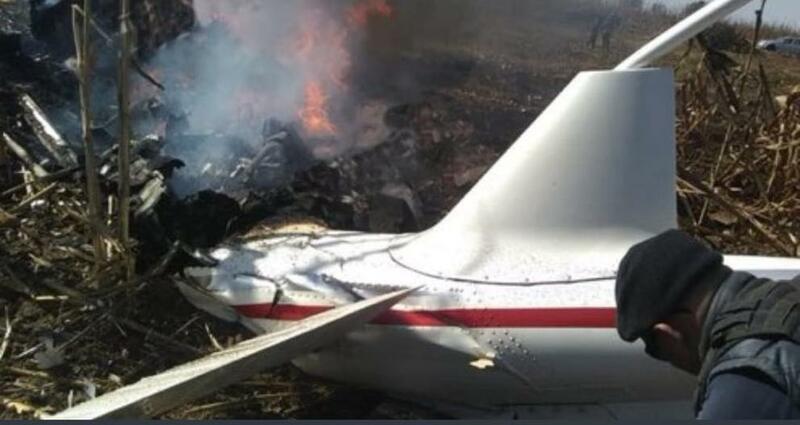 The Mexican government has confirmed the tragic helicopter crash that took place in the center of the nation on Monday and claimed the lives of a power couple - the governor wife and the husband senator. The casualties have been identified as senior opposition figure and new governor of the central state of Puebla Martha Erika Alonso, and senator and former governor of the same state Rafael Moreno. The couple’s helicopter tragically crashed not far from the capital of Puebla city. Local reports have yet to establish the cause of the crash. It is also not clear if the pilot was harmed or escaped danger. Footage seen on local television showed the remains of the aircraft in flames. A plume of smoke could also be seen from the scene of the crash. Alonso only assumed office earlier this month. She is a member of the center-right National Action Party (PAN). PAN head, Marko Cortes, took to Twitter to convey that their party is in deep mourning over the untimely and shocking deaths of their colleagues. Alonso won the election last month that was hotly contested with the leftist National Regeneration Movement, or MORENA. The results were also marred by accusations of fraud that an electoral tribunal had to validate the results months after the vote. Moreno for his part was governor of Puebla between 2011 and 2017 and also served as the head of the PAN in the Senate. Curiously, a number of Mexican politicians have perished in aircraft-related accidents in the past few years, including federal interior ministers in 2008 and 2011. The last two casualties were also members of PAN. Puebla’s Congress would now have to appoint an interior governor until new elections could be held for a successor to serve out the remaining of Alonso’s term.